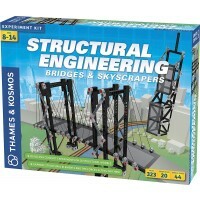 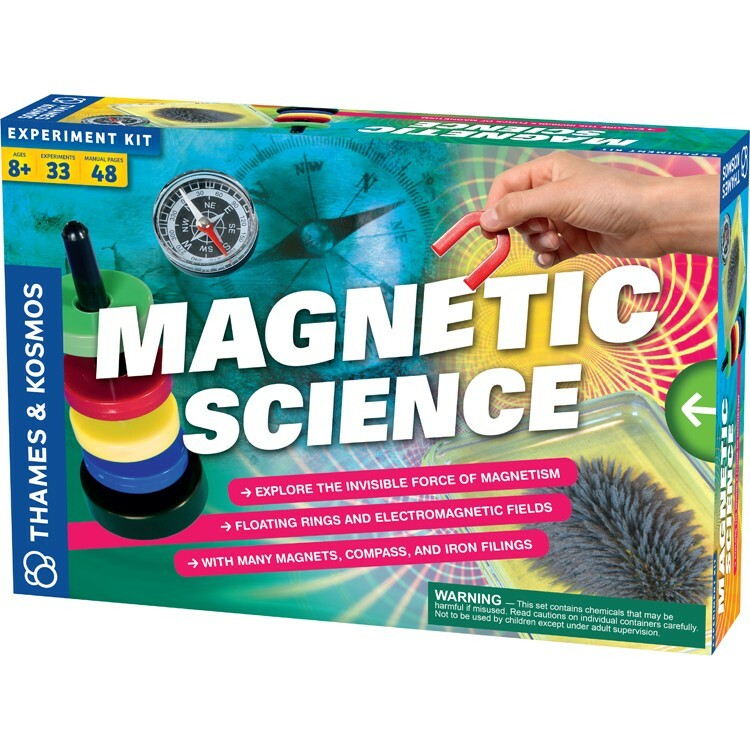 Discover the power of knowledge exploring the invisible power of magnetism with Thames & Kosmos' Magnetic Science. 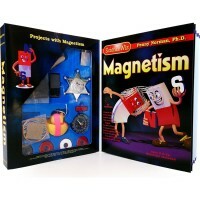 Experiment, explore and make your discoveries in the world of invisible power - magnetic science. 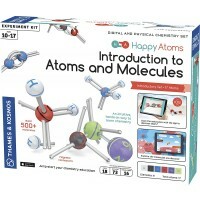 Magnetic Science Experiment Kit by Thames & Kosmos lets young scientists to perform 33 engaging experiments and activities that teach magnetism. 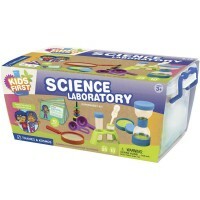 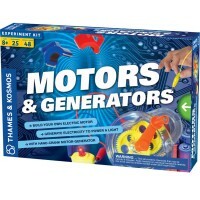 This physics science experiment kit from Educational Toys Planet features various shapes and sizes of magnets, different visual tools to conduct the magnetism related experiments, and 48-page illustrated instructional booklet. 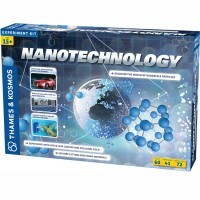 Test which materials are magnetic. 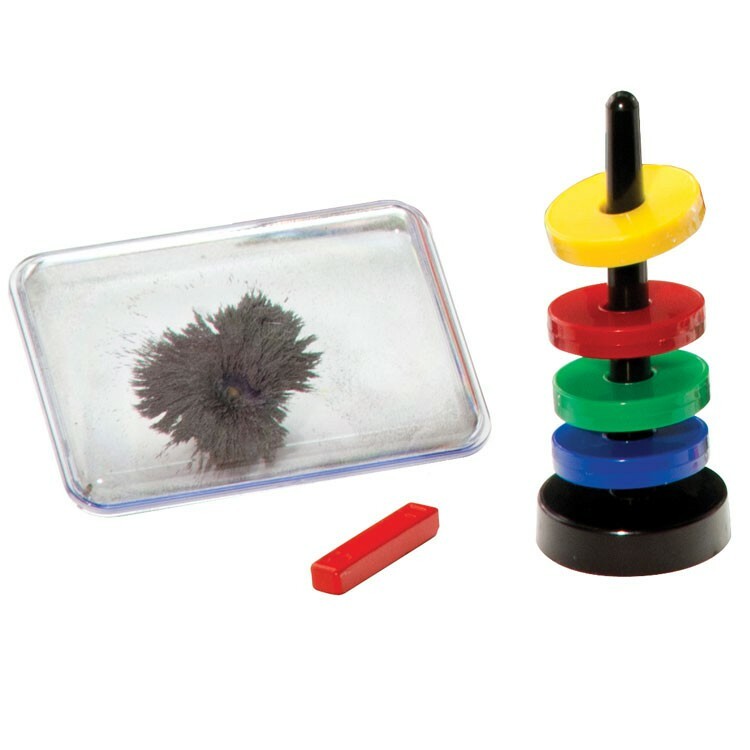 Learn about magnetic fields and explore one using iron filings in a transparent box. 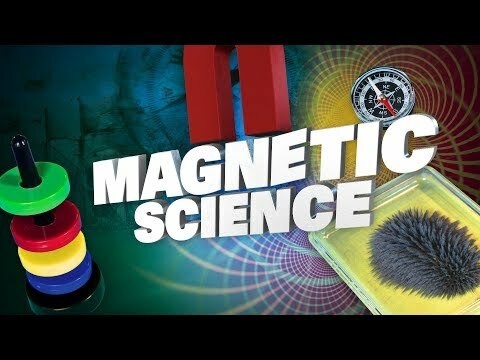 Experiment how magnets behave under different conditions. 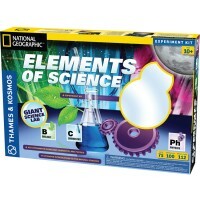 Find how people use compasses to take advantage of Earth magnetism. 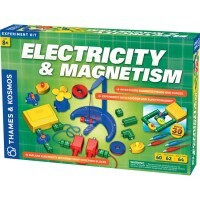 Construct an electromagnet to learn how electricity relates to magnetism. 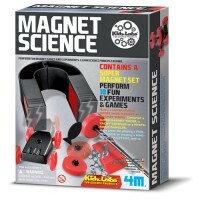 You even can play some fun games using the enclosed magnets. 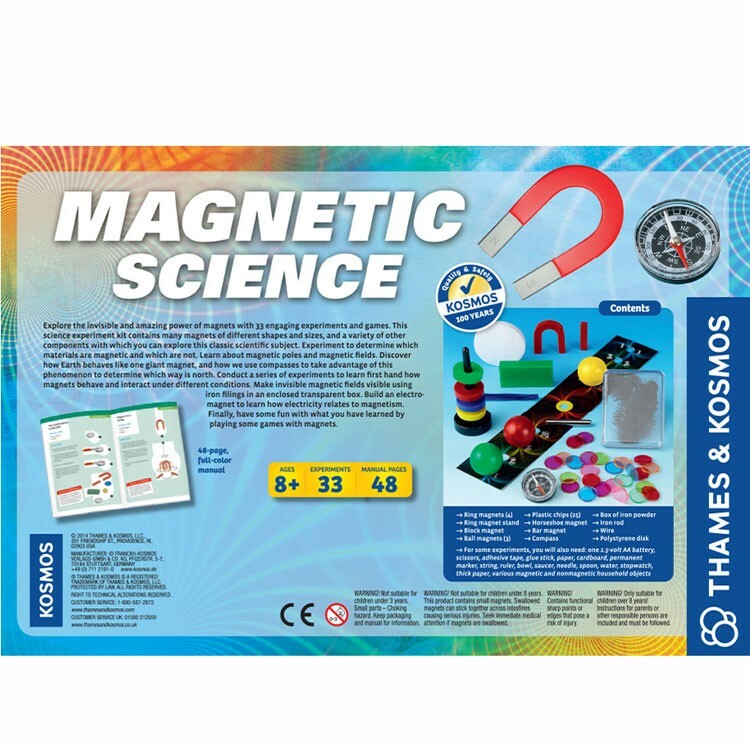 The engaging experiments, games and activities from Magnetic Science Experiment Kit will inspire children to learn more and more about physics, science and our world. 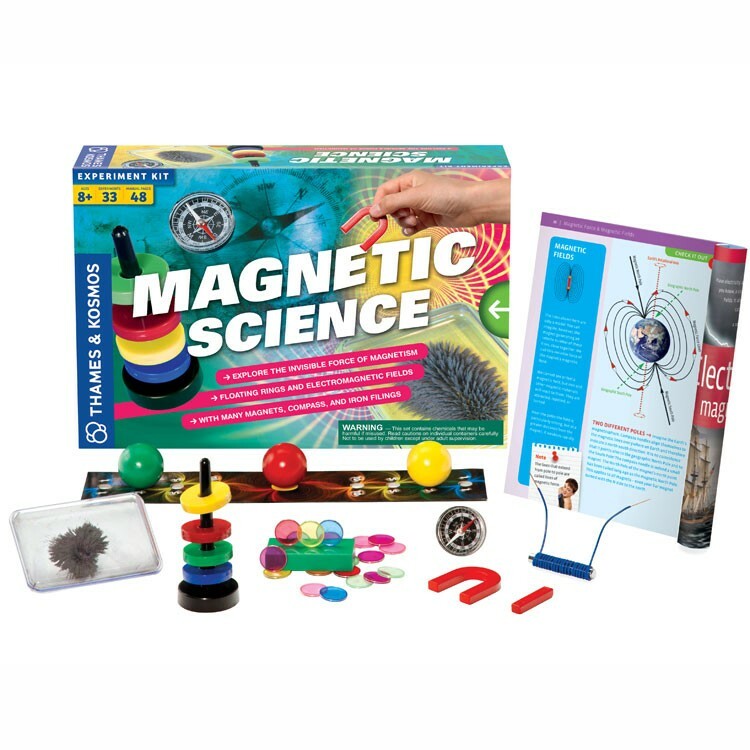 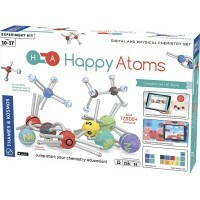 Write your own review of Magnetic Science Experiment Kit.